Offers and incentives can be a great way to help replace the 5% - 10% of your customer base that every small to medium sized business loses each and every year. Whilst the profit margin can sometimes be slightly smaller, offers stimulate repeat purchases from existing customers and attract a new set of loyal customers which in the long run is highly beneficial! Here are 20 special offer ideas which you can use to get social media buzz, get your customers talking and most importantly - get some extra revenue flowing! We all use these offers, mostly used for low cost products rather than services often by large companies such as ASDA and Morrison’s which sell high volume at low cost. It has been shown that the ‘BOGOF’ offer works far better than ‘50% off’. Highly successful when promoting high priced products and services as the higher the incentive the more people will enter the competition. For example a lot of travel companies offer the winner a free holiday or companies such as B&Q or DFS give the winner a free fitted kitchen or an expensive sofa set. Used by companies which provide a delivery service. Particularly useful for fast food businesses or even large businesses like Tesco. Interestingly, this offer is becoming more and more popular on E-commerce websites such as EBay and Amazon in which customers shop online and have the products delivered straight to their door. Vouchers can be used to give the recipient a money-off discount on a product or a service, or be used to claim a free gift. This offer is particularly good when selling a product which has gone stale or the market for that product is in decline or has flat lined. It’s also good to offer this depending on the demographic, for example companies which offer student discounts because they tend to have less disposable income, or clothing stores offering discounts because they are targeting younger buyers. Loyalty cards have been hugely successful over the past 10 years with the increase of fast food chains and low cost restaurants. Companies such as Nando’s, Starbucks and Subway have particularly used loyalty cards to their advantage. Good for businesses which provide training on their products. Student discounts have been used successfully for years now and they are particularly good for high street brands which students see as ‘in fashion’. You will find that many clothing, fast food, restaurants, social businesses like cinema companies and online stores and businesses offer student discounts of around 5% to 20% to attract one of the highest spending demographics in the UK. Can be great for companies like gyms or other monthly paid membership companies. For example gyms can offer a free personal training session with every membership sign up through the month of April. Often used because the customer doesn’t fully trust the product or understand it therefore the company offers them a trial period to see the benefits of having it so they buy it at a later date. Free trails are particularly used by companies which sell high cost products or companies which offer software for computers and other technology, but also work very well for food and drink products – trying a free sample often leads to a purchase. This offer has been used by car companies successfully for a number of years, most companies now offer a free years insurance with every car purchase. This incentive has also been used by supermarket chains which also have a fuel side to their business. For example, many supermarkets give discounts on fuel depending how much their customers spend on other items in store. This offer can be a great way to get new customers or steal customers from the competition because they feel that what you are offering is more valuable to them. This offer is great for stimulating repeat purchases. One company which is probably the king of this offer is Tesco. Tesco paved the way for this offer to become successful and since then retailers like Boots and other industries like airlines have introduced a points reward system. This incentive is great for keeping your customers happy! Most companies make the mistake of putting all their efforts into getting new customers but not focusing on the ones they currently have that are spending right now. Vodafone are particularly good at this, they give their valued customers great rewards like free football match tickets or F1 days. The better the reward the more valuable your customers will consider your products or services!!! Many companies now offer cash back as an incentive for customers to shop in their business. This offer is only really relevant to shops and high street stores but it can be a motivator for a customer to shop with you rather than with competitors. Gift cards can be a great way to get customers in the door, they can be particularly great seasonally. For example, one of the best ways to use gift cards is around Christmas when families buy each other gifts. If a customer doesn’t know what to buy a friend they can simply place the money on a card and give the card as the gift. It’s a great way for companies to retain business!! 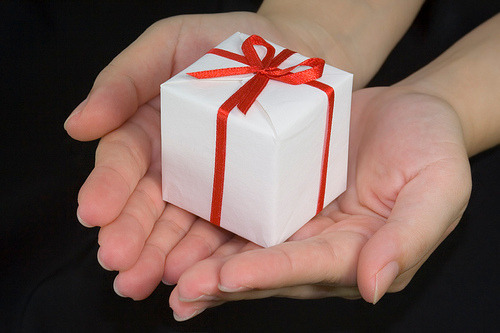 You can bundle a group of products or services into a ‘package’ to get people to spend more than they would otherwise. This offer is particularly popular with holiday companies who instead of offering the flights and the hotel separately, include everything into a package and sometimes offer discount for customers who do it this way. Another example of this would be food outlets who sell packaged ‘meal deals’, in which customers can buy a sandwich and get a drink and a bag of crisps free. This offer can be very good for technology, car sale and other high priced product products/services. High priced goods have a higher margin of loss for a customer if the product is faulty and so most tend to be a bit more careful when choosing products like laptops, washing machines, tablets, cars, mobile phones etc. However if a company provides a money back guarantee - for example, ‘if the product becomes faulty within the first year, you get your money back’ - the customer is more likely to be persuaded to buy because they know they have that safety net. For example ‘buy now pay, next year’. This offer was made highly successful by companies like DFS, car companies and high-end technology companies such as Curry’s and PC World. This offer allows customers to purchase a product and either pay the full amount a year or two later (with some added interest) or pay a fixed monthly amount. It works very well when customers can’t pay the immediate amount. For business-to-business products or services you could offer terms such as pay on delivery, pay on results, or pay on completion. This offer will help make your customers feel comfortable with your services, once they work with you for an hour or so, their fears about whether you know their stuff and whether they’d be able to get on with you will be laid to rest. In recent times companies like ASDA have adopted this offer because of the economic climate. It basically persuades customers because the company says ‘if you find the same product cheaper anywhere we will pay the difference’. Companies who sell low priced goods can often use this because there aren’t many companies out there who can beat them for price. So there you have it, 20 fantastic special offer ideas that can help you beat your competitors.